Automated Guided Vehicle ( AGV) Castors are self aligning castors ideal as towing castors as they avoid the swerving side to side. 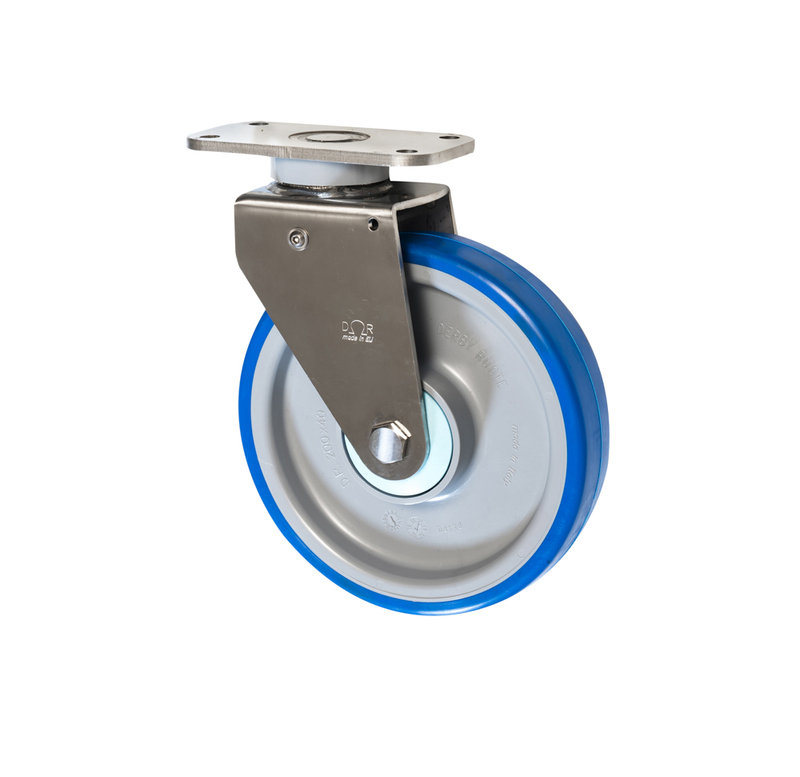 Often attached to Automated warehouse vehicles and towing equipment, as these straight line self positioning (SLDL) Castors help to keep the wheel following the direction of the cart or trolley. Fitted with an automatic positioning device these AGV castors and wheels help to keep the wheel parallel with the towing cart. 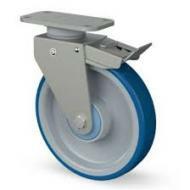 Available with either a polyurethane wheel or electro conductive wheel.